As a commercial property owner or the manager of HOA (homeowners’ association), you must have a great many responsibilities on your plate. It may seem overwhelming at times if you try to do everything on your own. A reliable assistant would undoubtedly come in handy. Why not let commercial plumbing and HVAC experts at Brea/Orange County Plumbing Heating & Air Conditioning provide comfort and convenience for your business property and take care of any arising plumbing and HVAC issues? Your customers and tenants expect to be comfortable all year long, so any interruption in the operation of your commercial heating, cooling and plumbing systems can poorly influence your overall business. Our goal at Brea/Orange County Plumbing is to offer our customers the best services possible for plumbing, heating and air conditioning units in the Orange County area. We are committed to friendly, fast, and reliable service 24/7. Brea/Orange County commercial contractors have been providing top-notch quality services in Orange County for over 50 years. We are proud to offer affordable prices for plumbing and HVAC services to both residential and commercial owners in Southern California. If you ever require a commercial unit installation performed for the first time, or if you discover that your present equipment needs to be replaced, count on Brea/Orange County Plumbing Heating & Air Conditioning to get the job done appropriately. 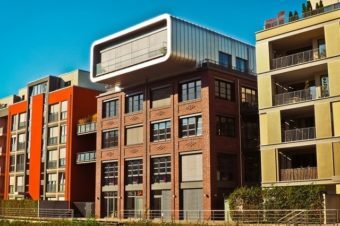 Our company has already helped multiple commercial property owners appreciate the excellent performance from their plumbing and HVAC equipment. However, remember that only a high quality installation will ensure uninterrupted operation of all your commercial systems. In case if you need a commercial HVAC unit replacement, we are just one call away. No matter if it is one system component of the entire system, exceptional quality repair/replacement service of commercial HVAC units is what we can do best! 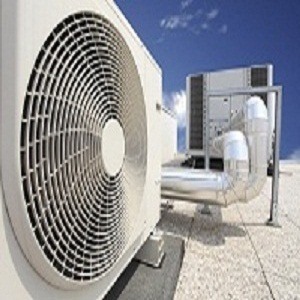 Sooner or later commercial heating and air conditioning repair becomes inevitable. This equipment wears out a lot being in constant use, this will unfortunately lead to damages. Whether your system suffers from even the minor damage, every problem matters to our experienced technicians. They will visit your business facility and fix every issue from malfunctioning air conditioner to a forced air troubleshooting. You should know that routine maintenance service of your commercial HVAC equipment minimizes the risk of its serious damage. Schedule regular maintenance visits with our commercial HVAC maintenance technicians and they will help keep your commercial systems as reliable and efficient as possible. Plumbing systems are pretty complicated and expensive, especially in the commercial buildings. A poor commercial plumbing installation will put your commercial property at risk and you don’t want that to happen. It would be best to schedule installation of your plumbing units with the licensed and trusted plumbers from Brea/Orange Plumbing. If you require commercial plumbing repair/replacement of any kind, we can help. For starters, you can call our company to set a routine maintenance visit. The water will flow reliably throughout your commercial plumbing systems with our regular commercial plumbing maintenance. Contact us today no matter what kind of services for your commercial building you might need.